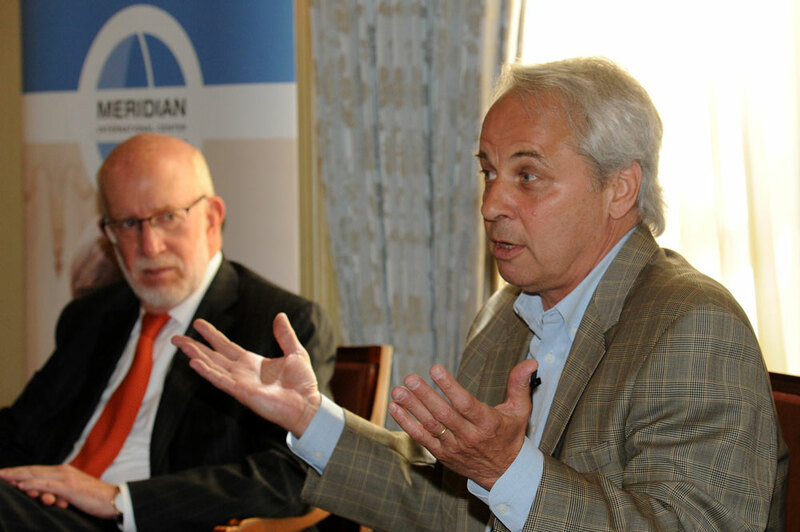 On June 6, 2016, more than 30 Ambassadors and senior diplomats from 43 countries attended Meridian’s Insider Briefing on the 2016 Presidential Campaigns. 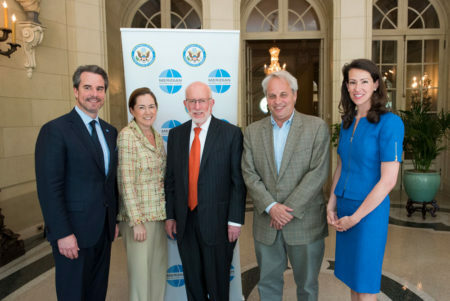 Hosted in partnership with the Office of the Chief of Protocol of the United States, the briefing provided the diplomatic community with an understanding of the twists and turns of the 2016 election season, through a lively discussion with Ben Ginsberg and Doug Sosnik, two of Washington’s most well-versed and experienced political strategists. 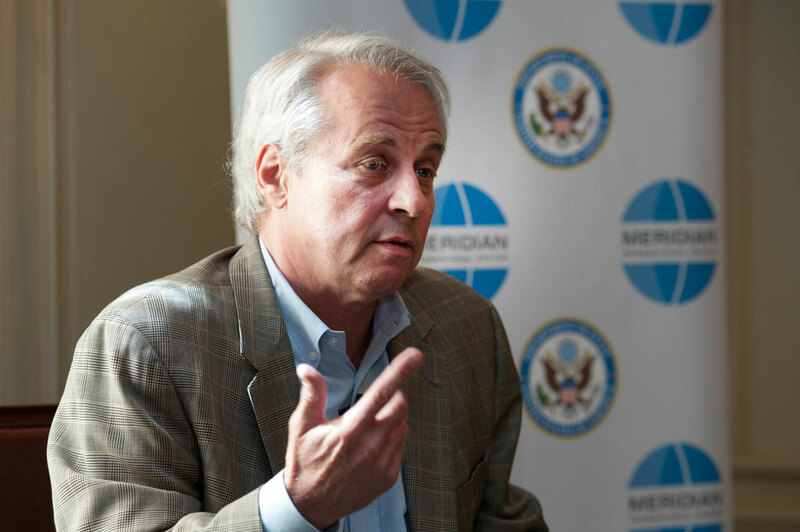 Meridian’s President Ambassador Stuart Holliday and Deputy Chief of Protocol Natalie Jones opened the program with welcome remarks and highlighting the strong public-private partnership maintained by Meridian and the U.S. Department of State. Ben Ginsberg, a partner at Jones Day, then shared a right-of-center perspective on the presidential campaigns as well as the state of the Democratic and Republican Parties. Ginsberg served as national counsel to the Romney for President campaigns in 2008 and 2012, and was the national counsel to the Bush-Cheney presidential campaigns in the 2004 and 2000 election cycles. Former Clinton White House Advisor Doug Sosnik revealed the political landscape from a left-of-center point of view and shared his thoughts on the shifting American electorate. 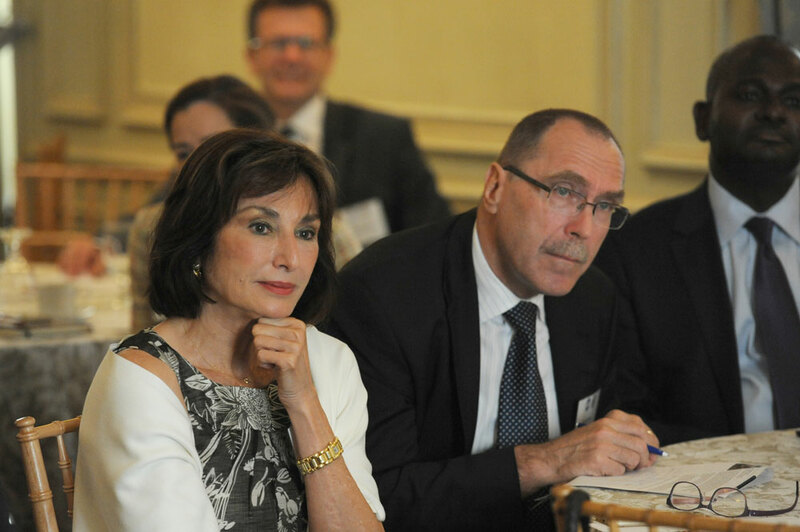 This segued into a spirited Q&A session where the 32 ambassadors and representatives from 43 countries in attendance inquired about the impact of the Supreme Court vacancy on American voters as well as what a Trump or Clinton presidency might mean for continued foreign aid to their respective nations. 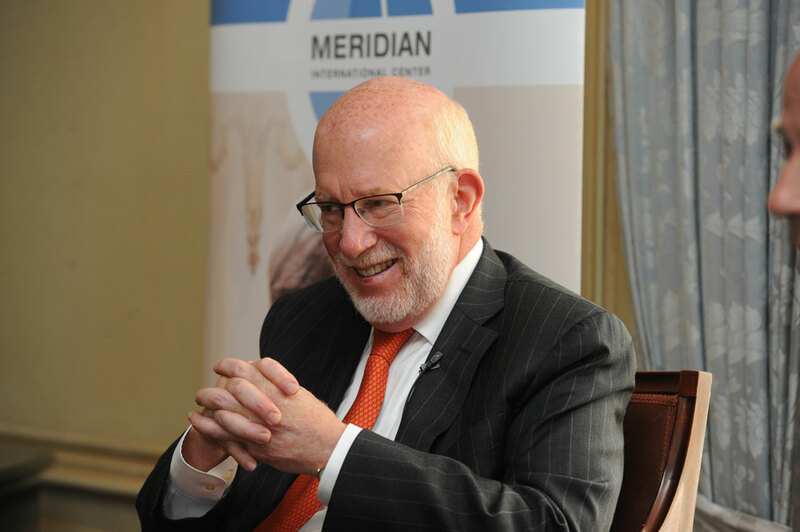 The Insights at Meridian series is made possible thanks to the generous support of The Walter and Isabel Cutler Endowment for Global Understanding. Ben Ginsberg and Doug Sosnik share their insider knowledge on the 2016 campaign season and the American electorate. 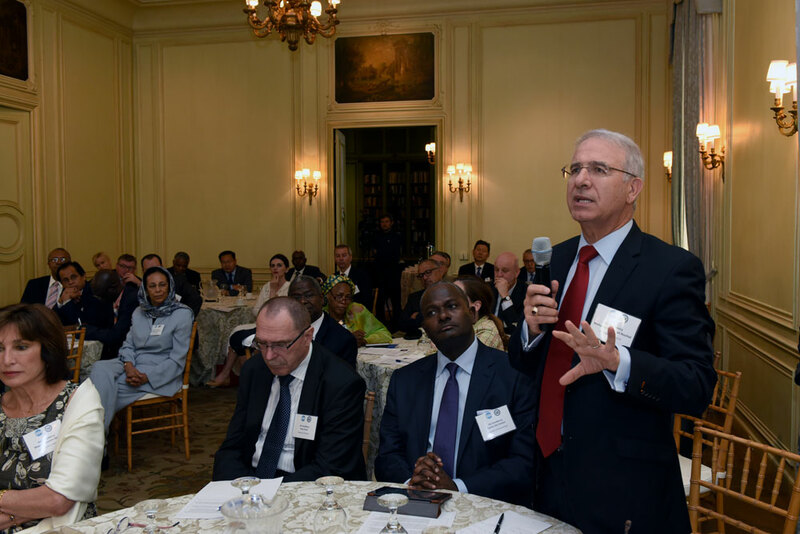 Ambassador of Morocco Mohammed Rachad Bouhlal poses a question to the panelists, while Ambassador of Mozambique Carlos Dos Santos, to his immediate right, listens intently. 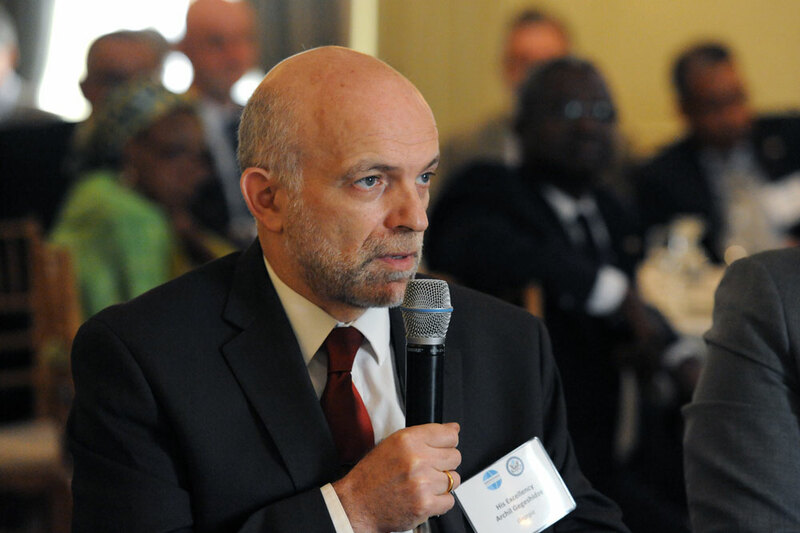 His Excellency Archil Gegeshidze, Ambassador of Georgia to the U.S. 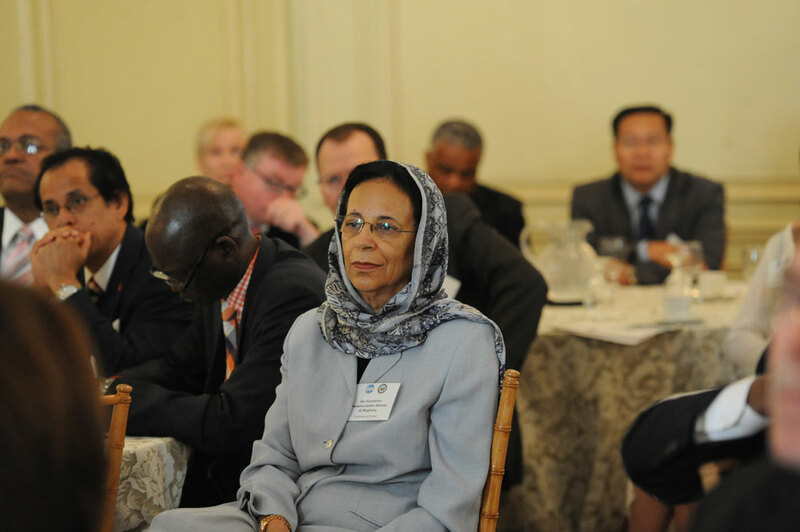 Her Excellency Hunaina Sultan Ahmed Al Mughairy, Ambassador of Oman to the U.S. 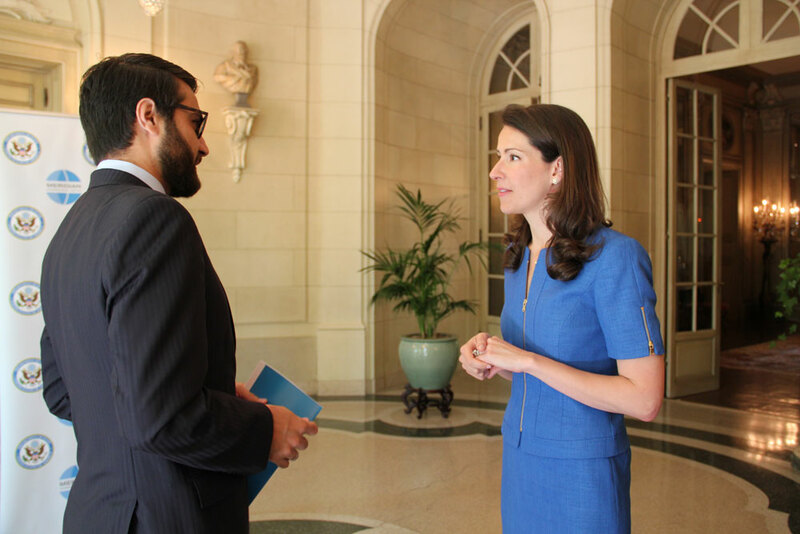 Ambassador of Afghanistan Hamdullah Mohib speaks with Deputy Chief of Protocol Natalie Jones. Ben Ginsberg sheds light on the rise of Donald Trump. Doug Sosnik discusses the U.S. economy through the eyes of the American voter.